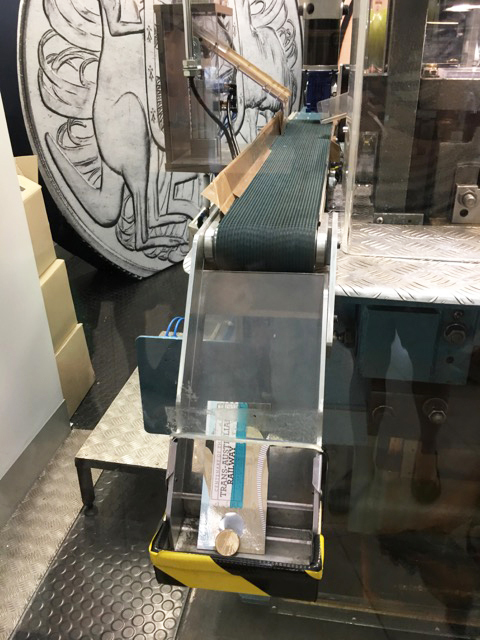 We visited the Royal Australian Mint in Canberra at the end of last year and found it an interesting stop to add to our many Canberra places to visit. Opened in 1965, the Mint has produced more than fifteen billion circulating coins. It now has the capacity to produce two million coins per day and can also produce coins for other countries, along with medals, medallions, tokens and seals for private clients, both national and international. At the front desk or the shop, kids can request a Mint Activity Book and head upstairs to complete the Mint Treasure Hunt. There are a few interactive screens for kids to learn about currency and how the factory works as well as a colouring station for little ones. When we were there, there was a colour your coin competition. 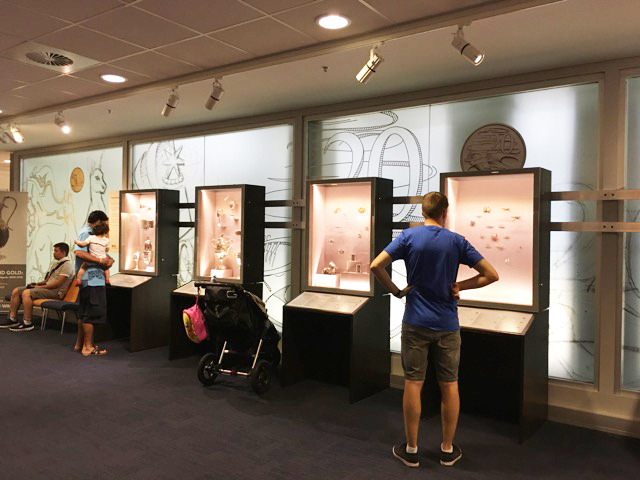 Visitors can wander through the national coin collection and read up on the history of currency, coinage and legal tender. They can discover the Holey Dollar and Dump, Australia's first minted coins made by a convicted forger and so much more. Visitors can see a working factory in action during the week and see Titan the strongest robot at the Mint. They can even wave to Titan! Titan is capable of lifting 1000 kilograms and if he's not busy he will even dance! Make sure you keep the best for last - kids can mint a legal commemorative $1 coin (cost of $3 per coin) and start a collection of their own. They will love it! Albeit a bit short and not hugely interactive for little ones but interesting for primary & high school kids, we did enjoy our visit at the Royal Australian Mint. The Mint is an interesting place to learn about the history of currency, coinage and legal tender. Kids will enjoy seeing the working factory, wave to Titan and even mint their very own coin! Royal Australian Mint is located on Denison Street in Deakin around 10 minutes from the city centre of Canberra. The centre is open 8.30 am to 5 pm Mon Fri and 10 am to 4 pm Sat & Sun. Closed on Christmas Day and Good Friday. There is free parking outside the center. The center is pram friendly with a walking ramp and a lift to access the first level. For more information on the Royal Australian Mint, head to their website.